The latest addition to the fledgling Italian Wars Project has achieved "ready for gaming" status. Here is my first Unit of Gendarme / Men at Arms. 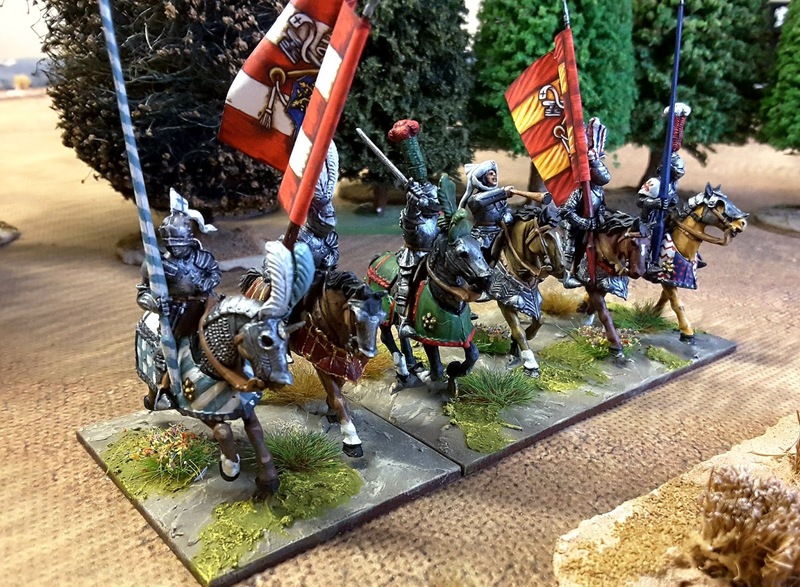 Full details and extra pics t'blog post, the figures are from the Perrys Miniatures plastic box set Mounted Men at Arms set, which is 1450-1500 but I am going for an early Papal Army so chuck in a few plumes and I'm happy ! Right pain to paint with the individual armour colours and designs but when I have a big chunk of them it will be worth it. Very nice. I never had the courage to try something like that. 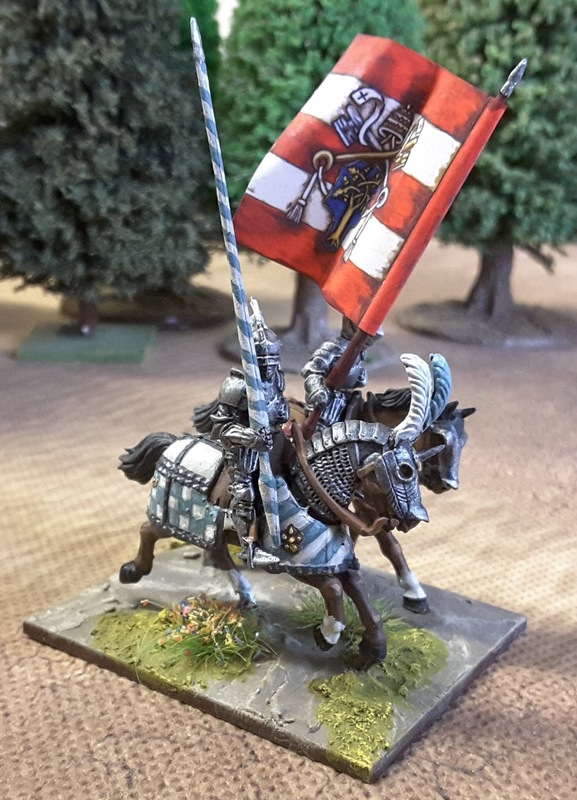 Amazing paint jobs and flags! As we're both in the same neck o' the woods, we must arrange to have an Italian Wars game sometime. You know you're welcome to come to Casa di Triotto (Roach) anytime. That would be cracking James, I'm very envious of you (much larger) Italian Wars collection and would love to try your rules out. Drop me an email kenrtai@sky.com James and we can sort something out. Just superb! Hand painted flag too, wow.